Boeing has raised its 20-year forecast for passenger and cargo aircraft deliveries to 42,730 jets, with the value at list prices hitting $6.3 trillion. The new figures show a 4.1 per cent increase over the previous forecast, which projected a total of 41,030 plane deliveries. The US plane maker said that rising passenger traffic and upcoming airplane retirements will drive the need more jets. The company's annual forecast, renamed the Commercial Market Outlook (CMO) to include detailed analysis of the dynamic aviation services market, was presented at the Farnborough International Airshow. "For the first time in years, we are seeing economies growing in every region of the world. This synchronised growth is providing more stimulus for global air travel. 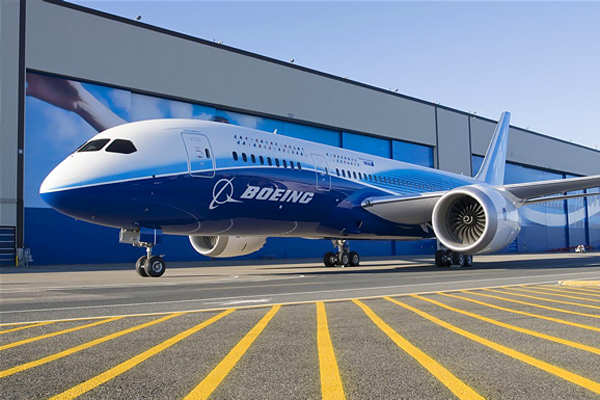 We are seeing strong traffic trends not only in the emerging markets of China and India, but also the mature markets of Europe and North America," said Randy Tinseth, vice president of Commercial Marketing for The Boeing Company. "Along with continued traffic expansion, the data show a big retirement wave approaching as older airplanes age out of the global fleet." The single-aisle segment will see the most growth over the forecast period, with a demand for 31,360 new airplanes, an increase of 6.1 per cent over last year. This $3.5 trillion market is driven in large part by the continued growth of low-cost carriers, strong demand in emerging markets, and increasing replacement demand in markets such as China and Southeast Asia. The widebody segment calls for 8,070 new airplanes valued at nearly $2.5 trillion over the next 20 years. Widebody demand is spearheaded, in part, by a large wave of replacements beginning early in the next decade and airlines deploying advanced jets such as the 787 Dreamliner and 777X to expand their global networks. Boeing also sees a strong demand for aviation services ranging from supply chain support (parts and parts logistics), to maintenance and engineering services, to aircraft modifications, to airline operations. Over the next 20 years, the plane maker forecasts an $8.8 trillion market for commercial aviation services with annual growth of 4.2 per cent.